Research has shown that many children suffer, to a greater or lesser extent, from psychosomatic disorders which are directly related to the occupation. 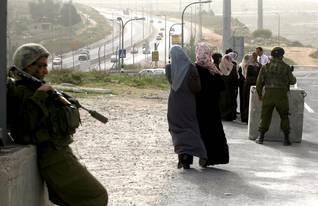 In recent years, armed conflicts amongst Palestinian factions have added to their distress. The Second Intifada and the violent recovery of the Palestinian population centres and full-scale attack on the Gaza Strip by Israel in 2008-2009 were especially traumatic experiences for many Palestinian children. This was particularly so for children who were eyewitnesses to the death or injury of persons in their immediate surroundings, who experienced bombings, or whose environment was severely damaged. Tensions reveal themselves in sleeplessness, bed-wetting, as well as aggressive and maladjusted behaviour. Adults, too, have to deal with permanent insecurity, poverty, frustration, anger, grief, and humiliation by the occupying forces. Everybody has a relative who has been killed, injured, or imprisoned. Another great source of tension for those involved is the hampered accessibility of medical facilities as a result of the checkpoints and roadblocks. 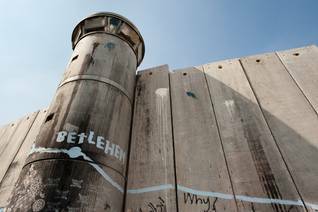 The Palestinians pay a high toll mentally and physically, as research has shown. Although contagious diseases as well as infant mortality among children and adults have been reduced, psychosomatic disorders are on the rise. Especially – though not exclusively – in the Gaza Strip, malnutrition (i.e. a structural lack of essential nutrients) is also increasing. Young people spend most of their spare time in their own environment. In more well-to-do families the television has succumbed to the computer. The use of the Internet has also expanded enormously. Palestinian youths cannot go out, as they would do in the West. There are hardly any facilities for young people out of doors, besides scouting, music schools, traditional dance groups (dabke), mosque study groups and Internet cafés. Sports activities are actively encouraged by the Ministry of Youth and Sports. In the somewhat more liberal Ramallah, the seeds of an infrastructure are growing in which students, intellectuals, and artists can meet.